When it gets cold outside, but you still have to work, layers are often required. 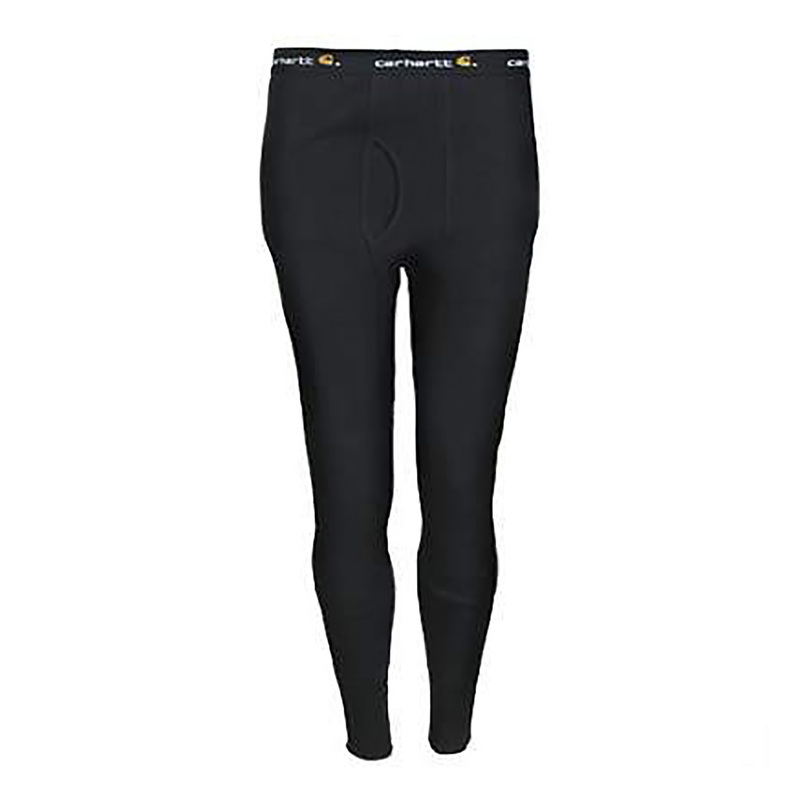 Slip into these Carhartt Men's Force 100640 001 Black Moisture-Wicking Heavyweight Cotton Thermal Pants before you put the rest of your workwear on to stay warm and comfortable throughout your workday. These Carhartt thermal pants are exactly what you need when the weather is chilly and you will be outside in it. They are made of 100% heavyweight cotton knit. The material of these moisture-wicking pants is called Force because they will work just as hard as you do. Even though it might be cold outside, you are a hardworker and sometimes you sweat, no matter what the temperature is outside. These Force pants are made to wick away that sweat as soon as it begins. Basically, this black thermal underwear will keep you dry even if you are sweating bullets. Staying dry throughout your workday will also help to keep you more comfortable and who doesn't want comfort when they are working? Everyone wants to be comfortable and these heavyweight cotton pants have you covered. The bottom of these men's pants are made with rib-knit cuffs that will help to keep these black thermal underwear in place.